Avengers: Endgame has easily been one of the most anticipated films of the year and is finally set to release by the end of this month. Fans of the franchise and Marvel Studios have been holding their breaths over this one and with all the recent releases of the TV spots and teasers, the wait is getting difficult. At the recently held press junket in Seoul, South Korea, 20-minute footage of the film was screened for a few sections fo the media and the response has been absolutely crazy. Even as none of the outlets are allowed to reveal any details about the nature of the footage shown, their reactions to witnessing the screening are sure to leave you wanting for more. Among the Indian media outlets who watched the footage, Times Now described the experience as "Avengers: Endgame is going to be the experience of a lifetime." As expected the film's emotional nature seems to be one of the most common takeaways for everyone. Bollywood Life termed the scenes from the footage shown as "Tearjerker" and even stated that the impact was highly emotional. 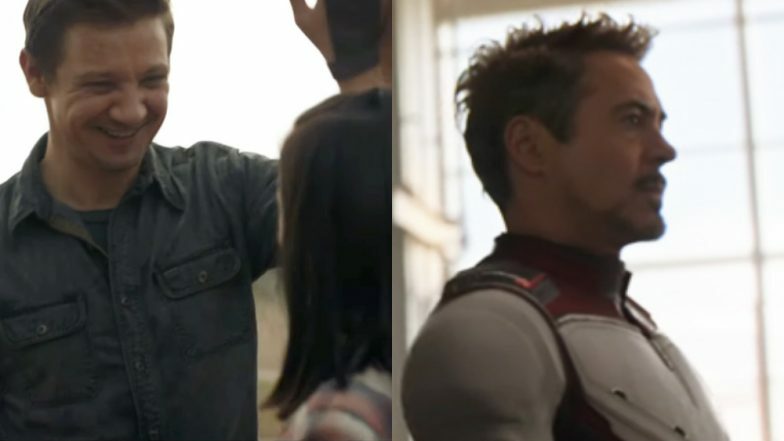 Avengers Endgame: Watch How Jeremy Renner and Paul Rudd Find a Fun Way to Avoid Giving Spoilers. Pinkvilla stated, "footage has been watched and the first thought on our mind was instant GOOSEBUMPS! From the beginning till the end, we were left with 50 variations of feels. It would be incredibly handy to carry along some tissues and get ready for the tear-works!" Hearing, this we are sure Marvel fans are going in a tizzy and wondering what the footage was all about. Clearly, this film is going to be an emotional ride and looking at the press reactions, we are sure that it would be advisable to stock up on those tissues that will come handy during the screening as you hold back your tears. The film is the final film in The Infinity Saga storyline that started 11 years ago in 2008 with the Robert Downey Jr starrer Iron Man. Ever since then, the fan base increased beyond countries and the franchise became a huge money spinner. Watching the Avengers franchise pack-up is a huge moment for fans. Road to Avengers EndGame: From Jeff Bridges in Iron Man to Brie Larson in Captain Marvel, All Oscar Winning Actors in MCU, Ranked Based on Impact. Directed by The Russo Brothers, Avengers: Endgame stars Robert Downey Jr, Chris Evans, Chris Hemsworth, Jeremy Renner, Mark Ruffalo, Scarlett Johansson, Paul Rudd, Karen Gillan, Don Cheadle, Josh Brolin and Bradley Cooper. Avengers: Endgame is slated for an April 26 release.